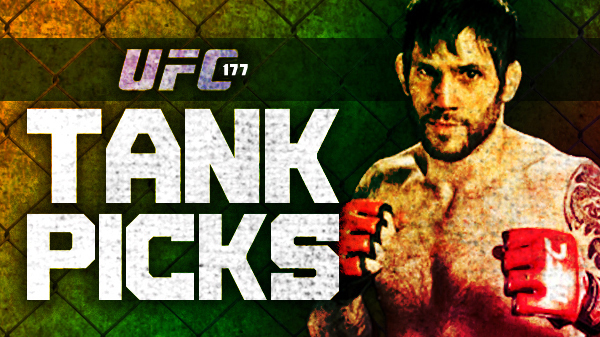 The UFC heads west this Labor Day weekend UFC 177 Saturday in Sacramento, CA. The card is highlighted by the bantamweight title fight between champion T.J. Dillashaw (11-2) vs. Renan Barao "The Baron" (34-2). Saturdays main card will feature a WMMA match up when Brazilian Bethe Correia (8-0) takes on WMMA veteran and South Dakota native Shayna Baszler (15-8). We caught up with a nine-time UFC vet to get his take on all of the main card match-ups. In addition to being a long time fan of the sport, Luigi Fioravanti has fought all over the world including Russia and Japan. Fioravanti (24-11) an MMA instructor at Finney's MMA will compete in an 8-man tournament at Battlegrounds MMA 5 in Oklahoma in October.